UMe has released an exclusive new 15-track soundtrack or the hit NBC series Aquarius. Music From The Original Series Aquarius is available now for download purchase from all major digital service providers. Music From The Original Series Aquarius features recordings heard in the show, including Count Five's "Psychotic Reaction;" "I'll Never Say Never To Always," an original Charles Manson recording; The Who's "I Can See For Miles" and "The Seeker;" Wayne Newton's "Danke Schoen;" Nina Simone's "Don't Let Me Be Misunderstood;" Frank Sinatra's "Time After Time;" Junior Walker & The All Stars' "Come See About Me" and several other songs of the time. Music From The Original Series Aquarius also includes "The Things" by David Duchovny, which is also featured on Duchovny's own new album, Hell Or Highwater (released May 12); "Grace's Theme," an original score piece by W.G. Snuffy Walden, and two cast production recordings: "The Shadow of Your Smile," (the Love Theme from 1965's The Sandpiper), sung by Aquarius ' Ambyr Childers, Emma Dumont and Tara Lynn Barr during a discussion of the film by their characters, and "True Love You Will Find" (written by Charles Manson), performed by Aquarius ' Gethin Anthony as Manson. 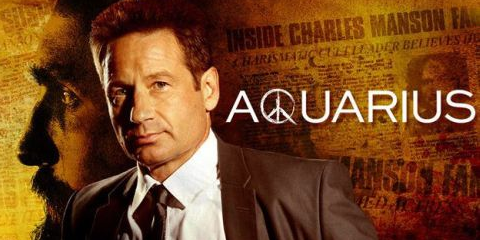 NBC's hit series Aquarius stars David Duchovny as decorated World War II vet and LAPD homicide detective Sam Hodiak, who barely recognizes the city he's now policing. Set in 1967, Aquarius sees Hodiak tracking a small but growing band of drifters under the sway of a career criminal who now dreams of being a rock star: Charles Manson. Ringing with the unparalleled music of the era, the sprawling work of historical fiction begins two years before the 1969 Tate-LaBianca murders. Aquarius airs Thursday nights at 9pm ET/PT on NBC, and the series' 13 episodes are also available for streaming on-demand on NBC.com, the NBC app and other VOD services. Writer John McNamara ("In Plain Sight") serves as executive producer with Marty Adelstein ("Prison Break"), Becky Clements ("Last Man Standing"), David Duchovny and Melanie Greene. Aquarius is a production of Tomorrow Studios, a joint partnership between Marty Adelstein and ITV Studios. The soundtrack's producers are the show's music supervisor, Ann Kline, McNamara, Adelstein and Christian Johnson. 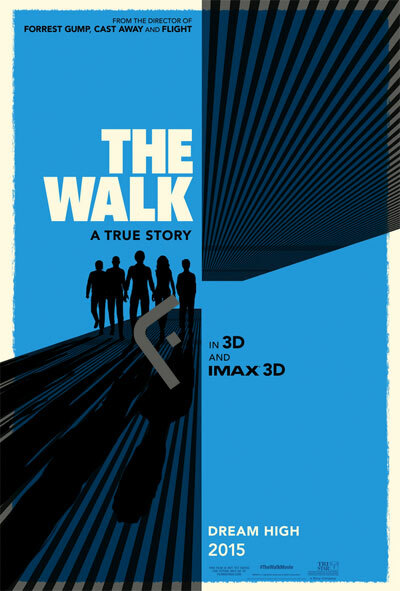 Audiences at IMAX 3D and other select theaters will have the chance to be the first to experience The Walk, the new motion picture event from Academy Award winner Robert Zemeckis, when it is released exclusively in those theaters on Wednesday, September 30. The film, which has also been chosen as the opening night selection of the New York Film Festival, will then enter wide release on October 9. Twelve men have walked on the moon. Only one man has ever, or will ever, go where The Walk will take moviegoers. In The Walk, Academy Award winner Robert Zemeckis, the master director of such marvels as Forrest Gump, Cast Away, Polar Express and Flight, again uses cutting edge technology in the service of an emotional, character-driven story. With innovative photorealistic techniques and IMAX 3D wizardry, The Walk is genuine big-screen cinema, a chance for moviegoers to viscerally experience the feeling of reaching the clouds. It is also one of the rare live-action films that is a PG-rated, all-audience entertainment for moviegoers 8 to 80 - and a true story to boot. It is unlike anything audiences have seen before, a love letter to Paris and New York City in the 1970s, but most of all, to the Towers of the World Trade Center. Commenting on the announcement, Greg Foster, Senior Executive Vice President of IMAX Corp. and CEO of IMAX Entertainment, said, "We're excited to be part of Sony's exclusive release for The Walk, which was designed for and makes brilliant use of IMAX 3D. No one understands IMAX better than our longtime partner Bob Zemeckis - he is an artistic genius who uses all of his expertise to give audiences an edge-of-your-seat thrill that will make moviegoers feel like they are out on the tightrope themselves. We're excited that our audiences will have the chance to see it first." Directed by Robert Zemeckis, the screenplay is by Robert Zemeckis & Christopher Browne, based on the book "To Reach the Clouds" by Philippe Petit, and produced by Steve Starkey, Robert Zemeckis, and Jack Rapke. Here is some good news for Michael Jackson fans. The ultimate biography of Michael Jackson: The Magic and the Madness by J. Randy Taraborrelli’s is now available in Marathi. On the occasion of the 6th death anniversary of the ‘King of Pop’, Mehta Publishing house released the book titled ‘Michael Jackson: The magic, the madness’ for his fans. The book has been translated into Marathi from English by Mrs. Reshma Kulkarni-pathare and released at a ceremony by well-known Marathi poet, singer-songwriter, copywriter Mr. Sandeep Khare, Founder of the official Indian Michael Jackson Fanclub Mr. Nikhil Gangavane & the translator of the book Reshma Kulkarni today at Mehta Publishing House. Nikhil Gangavane, Founder President of The Official Michael Jackson said “what can be a better tribute for Michael Jackson on 25th June…Legend come and go…some live forever. Michael Jackson is one of the legends whose showmanship cannot be surpassed by any other artist. From music, dance, to philanthrophy, he was the best in whatever he did. According to the book’s translator Reshma Kulkarni, before translating this book, she always believed that Michael was an over rated star. “But after I started translating the book, I realised that not only was Michael a powerhouse of real talent, but also, his histrionics were, more often than not, his way of pleading to the world to treat him as normal,” she said. One never saw the reasons(s) behind his weird behavior. His was a childhood traumatised by a demoniacal father, a family trying to make him slog so they could piggy-back on his success and riches, so-called friends who only held his hand till he was on the top and then betrayed him. According to her, this book is a must-read to understand how a world-famous star should be and also should not be. “I would go as far as to say that it is a good guide for parents aspiring for celebrity-hood for their children. They would certainly do well to read this book to understand what ‘not’ to do, so as to help their celebrity children carry the weight of success,” Kulkarni said. 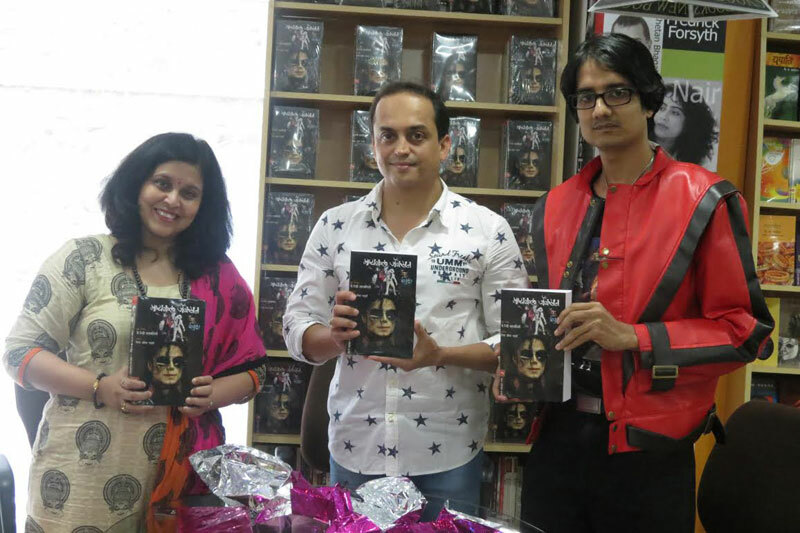 “As publishers we thought Michael Jackson’s real life story should reach his fans so that they know who the real was Michael Jackson was,” said Managing Director of Mehta Publishing House. The original book Michael Jackson – The Magic & The Madness was authored by J. Randy Taraborrelli. He is the foremost authority on Michael Jackson and is the only New York Times best-seller about Jackson. First published in 1990, the book was a runaway success. Taraborrelli updated the book for the foreign marketplace four years ago in an edition that was nominated for a W.H. 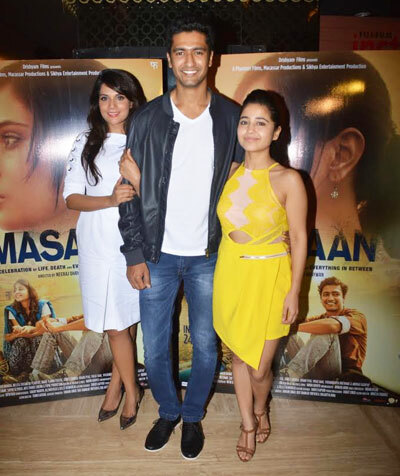 Smith Literary Award in the U.K.
Neeraj Ghaywan’s Cannes Award winning directorial debut Masaan had its trailer launch at a suburban multiplex amid much fanfare with its cast and crew in Mumbai. Talking about the journey of the first Indian film to win two awards (FIPRESCI Award and the Most Promising Future Prize in the Un Certain Regard section) at the prestigious Cannes Film Festival in 26 years, the director, Neeraj Ghaywan said, "Varun Grover and I researched content for the film for around a year in Benares. We spent a lot of time with the Chaudhary family of the Dom community who work in cremation grounds. A lot of the film has been drawn from real life." He added, "Winning at Cannes has helped us in many ways. Besides the amazing exposure and buzz in India, we have already sold the film in many territories abroad." 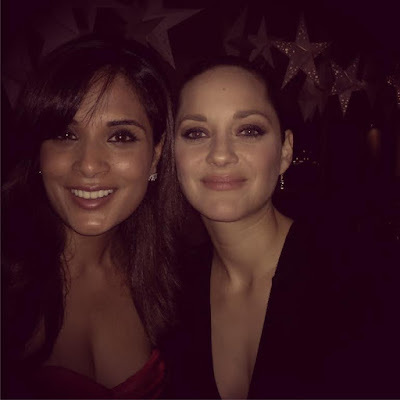 Lead actress Richa Chadha, who looked picture perfect in white said, "We are seeing the trailer for the first time. Neeraj has saved a lot of masala for Indian audiences because it's an Indian film after all." Richa's performance in the film is getting her praise from all quarters but she's not one to take credit. Richa said matter-of-factly, "Masaan is not riding on my shoulders but on the able shoulders of the film. This film is closest to my heart. I find the film spiritual and so I have been on board since the beginning." Filmfare award-winner Sanjay Mishra who plays Richa's father in the movie says candidly, "I was hungry for nine years. Now I am getting work so I am doing it. I am glad to be part of the movie. I have not seen the movie yet. I agreed to do the movie after hearing one line 'Mann kasturi re'. That one line has the essence of the entire movie." Shweta Tripathi and Vicky Kaushal expressed their excitement over being part of such a dream project. Explaining the meaning and relevance of the title Masaan, Varun Grover, the writer and lyricist of the movie said, "Masaan is a slang word in Benares for shamshaan (cremation ground). Vicky Kaushal's character is from the Dom community and he works at the cremation ground in Benares. Besides this, the film reflects upon the philosophy of the cycle of life and death in many ways." Producer Manish Mundra of Drishyam Films clarified that Masaan is not an art-house film. He said, "Masaan has set a benchmark and paved the way for more films to go to festivals and get released with the same fanfare in India. Masaan has completed the full circle in that sense. Masaan will negate the notion that festival films are arty and don't find a release. We are releasing it in about 300 screens." Producer Vikramaditya Motwane of Phantom Films said, "Anurag Kashyap and I read and loved the script from the very beginning. We began raising funds and got producers Manish Mundra (Drishyam Films), Macassar (Melita and Marijane) and Sikhya Entertainment on board and they have been our guardian angels on this film. I am very happy that the film is releasing on a grand scale." Producer Guneet Monga of Sikhya Entertainment concludes, "Several films have gone to festivals over the past few years. It takes a lot of vision to make a film and take it so far. It's commendable and amazing that we are releasing Masaan within two months time after its Cannes premiere and that is thanks to Phantom Films and Drishyam Films." Masaan hits cinema screens in India on 24th July. Jagran Film Festival is back in its sixth edition and it is raining reasons to attend and make the most of the experiences in store at India’s largest film festival. Besides offering a glimpse of the world cinema, this year’s festival has an enriching lineup of workshops, master classes and sessions that are hard to miss. Committed to nurturing the budding film talent in India, Jagran Film Festival brings a series of value-adding workshops for aspiring film makers, budding script writers, and cinematographers as well as for anyone with a curious mind and keen heart for films. The 6th edition of Jagran Film Festival has partnered with veteran Film maker Subhash Ghai’s prestigious film school Whistling Woods International, Mumbai, in a fresh initiative to take film education to often ignored small towns of India. Often international film festivals have been accused of their ‘highbrow’ attitude, missing out on small towns. This initiative by the veteran Director-Producer-Academician will bridge the gap between small towns and metropolitan cities as far as exposure to film education is concerned. As ‘Master Classes Partner’ of the Jagran Film Festival, the faculty of Whistling Woods International will travel to meet and teach the student community and budding film makers across 17 cities of India conducting Workshops, Short duration Courses, Master Classes, Question and Answer sessions with film personalities. In some of the cities covered by the Festival, Subhash Ghai will make a personal appearance and reach out to prospective film makers. These workshops and Master Classes will range from general to technical subjects with a view to impart ‘spot exposure’ to prospective film makers. A 2-hour workshop delves into the knowledge of basic storytelling principles combined with an understanding of the form & rhythms of the screenplay. Anjum Rajabali in her proven ways will cover the entire journey of the script from theme, premise, character, and plot, to structure, scene construction, and dialogue, and the use of music and song in Indian script. An hour worth of chit-chat, dispelling doubts, queries and all the curiosity a novice screen-writer has before entering the endless world of creative expression on the big screen. 90 minutes of pure expert speak simmered with real life anecdotes from the veteran director’s prolific film career. The session with Subhash Ghai besides being inspiring, takes every participant into the world of films from a filmmaker’s point of view and offers a blueprint of what this thriving medium has in store for those who possess a vision to portray a film idea onto the silver screen. It’s Krishhna Murthy’s camera, lenses and some magic with light that delights those with a camera and inspires those without one to explore a world where a picture is worth a thousand words. From digital photography, camera operation to handling techniques and light tricks, it is time to discreetly open up one’s creative side and let stills do the talking. A walk down the film-making lane withan opportunity to gather nitty gritties all along the way, with Somnath Sen of Leela (2002), Faisla (2005) and Gora (2012) fame. Through this 90 minutes workshop, film lovers learn the nuts and bolts of film making spanning the entire gamut from ideation till its execution - all this from a film-maker’s lens itself. With such an all-rounded medley of workshops, 6th Jagran Film Festival is a film feast and crash course on films packed in one. The 2015 edition of Jagran Film Festival will traverse from Delhi to the Indian hinterlands of Kanpur, Lucknow, Allahabad, Varanasi, Agra, Meerut, Dehradun, Hisar, Ludhiana, Patna, Ranchi, Jamshedpur, Raipur, Indore, and Bhopal before culminating in Mumbai. 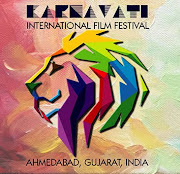 In close collaboration with festival partners such as Whistling Woods International (WWI), Film Federation of India (FFI) and Motion Picture Association (MPA) Asia Pacific Screen Awards (APSA), the 2015 edition is all set to surpass its own last benchmarks of presenting over 16 cinema appreciation workshops, 400 screenings in 17 cities, that were witnessed by a direct audience of more than 50000 film aficionados and a media reach-out to nearly 50 million people in India in 2014. For workshop registrations and more information on the complete schedule of events, ticket prices, etc., please visit www.jff.co.in. Shudh Desi Endings’ (SDE) latest spoof is an after take on all that’s big and king size in the lives and times of DDD’s high-flyers. The ‘Dil Dhadakne Do’ spoof opens with an up-class and unusual on-screen papa-beta banter between Anil Kapoor and Ranveer Singh. That Ranveer is anything but sane remains a constant when he flaunts his ‘do the rex’ form in the SDE flick. In this spoof even the cruise-liner goes berserk and stands on a Titanic like firangi crossroads, giving desi ex-lovebirds Ranveer and Anushka an opportunity to settle their long-due personal scores. The madness seems to go ‘onnn and onnnn’. Click Digital Studios is on a tremendous expansion spree and plans to launch 10 new channels over the next 12 months after Shudh Desi Endings and Shudh Desi Raps. Shudh Desi Gaane is the first step for the house of compelling content with a signature comical twist in that direction. For music lovers, it is a perfect opportunity to play on the melodic yet comic shudh desi filmy musical masala with ‘Shudh Desi Gaane’, all at the click of a button. Shudh Desi Gaane, a Youtube channel had a grand opening with the first ever parody of the Hamari Adhuri Kahani title track. Click Digital Studios manages end-to-end production of shows for 70 channels on YouTube that garner monthly viewership of 100 million with a subscriber base of 1.5 million. It also produced a Gujarati standup comedy show “Hirjee Ni Marjee” for Viacom 18’s ETV Gujarati, the first season of 72 episodes of which ran successful. CDS’ sister concern Monopoly Pictures has produced a Gujarati film “Happy Family Pvt. Ltd” (2013). 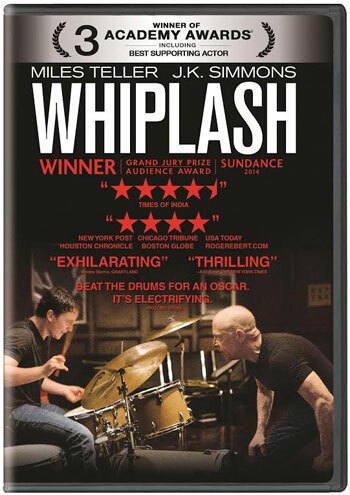 Home Entertainment Services by Sony DADC - the leading home entertainment content provider in India releases Oscar winning movie Whiplash on Blu-ray & DVD. This captivating drama film depicting the relationship between a promising young drummer and his instructor is written and directed by Damien Chazelle. The movie stars J.K. Simmons, Miles Teller along with Paul Reiser and Melissa Benoist. The film is based on Damien Chazelle’s experiences in the Princeton High School Studio Band. The film features Andrew Neyman (Miles Teller) an ambitious young jazz drummer in pursuit of rising to the top of his elite music conservatory. Terence Fletcher (J.K. Simmons), an instructor known for his terrifying teaching methods, discovers Andrew and transfers the aspiring drummer into the top jazz ensemble, forever changing the young man’s life. But Andrew’s passion to achieve perfection quickly spirals into obsession, as his ruthless teacher pushes him to the brink of his ability and his sanity. The film got critical acclaim and was a box office success as the film grossed $33.1 million against a production budget of $3.3 million. The film won many awards and accolades, it won 3 awards at the 87th Academy Awards. J. K. Simmons received the Academy Award for Best Supporting Actor and the film also took home the award for Best Film Editing & Best Sound Mixing. Own your copy of this captivating musical journey now! Marion Cotillard, the Oscar winning French actress is actively supporting Masaan. She uploaded the French poster of the film on her Instagram and said "Masaan releases today in France after a huge success in Cannes. Melita Toscan Du Plantier produced the film with her partner Marie Jeanne-Pascal alongside other Indo-French partners of Masaan. She said, "I've known Marion for about 19 years now. I remember how she was so excited and texted me asking about the prize Masaan had won. She was on the way to red carpet for her film Macbeth. She is very excited to watch Masaan and is supporting the film. This is truly special for me." Richa was ecstatic. She said "It's truly magical. I have watched Marion’s work for inspiration. In fact my director, Neeraj, gave me her film 'Rust and Bone' as research for Masaan. Like many things in this film, it's come full circle again. I am so overwhelmed with her generosity. It feels great to be mentioned by an Oscar winning actress. We are all touched." Director Neeraj Ghaywan was touched by the support. He said "This is so inspiring to have one of the world's greatest actor come out and support our film. I have seen almost all her films and I have huge respect for her craft. I take immense pride and extend my relentless gratitude on behalf of team Masaan. All this has been possible because of our producer Melita." The directorial debut of Neeraj Ghaywan that won two awards at the recently concluded Cannes Film Festival stars Sanjay Mishra and Richa Chadda in the lead along with newcomers Vicky Kaushal and Shweta Tripathi. The film is produced by Drishyam Films, Phantom Films, Macassar Productions and Sikhya Entertainment is slated for July 24 release across Indian theatres. The year 2015 has been a fruitful year for Universal Pictures India with two back-to-back 100 crore blockbusters ‘Fast and Furious 7’ and ‘Jurassic World’. 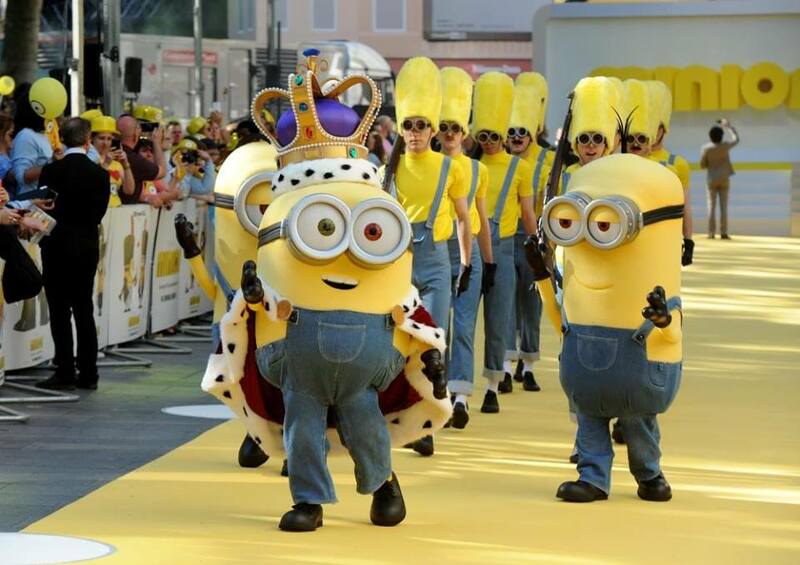 The studio will now gear up for the release of the much anticipated July release of the animated comedy ‘MInions’, a spin-off of the ‘Despicable Me’ series. The universal popularity of the characters combined with the introduction of a new franchise altogether is expected to take the box office by storm worldover. Featuring voice overs by Sandra Bullock, Jon Hamm, Michael Keaton, Allison Janney, Steve Coogan, Jennifer Saunders and Geoffrey Rush, the film will see a pan India release on 10th July, 2015. The story revolves around a Minion named Kevin who along with Stuart and lovable little Bob—ventures out into the world to find a new evil boss for his brethren to follow. The trio embarks upon a thrilling journey that ultimately leads them to their next potential master, Scarlet Overkill (Sandra Bullock), the world’s first-ever female super-villain. They travel from frigid Antarctica to 1960s New York City, ending in mod London, where they must face their biggest challenge to date: saving all of Minion kind from annihilation. Big Magic, poised to be the ultimate comedy destination from Reliance Broadcast Network Limited launched a fresh new look and channel identity. The content as part of the renewed strategic vision will be unpredictable, cutting edge, quirky, contemporary, surprising, differentiated, hilarious and entertaining; targeting families, but predominantly the male audience. 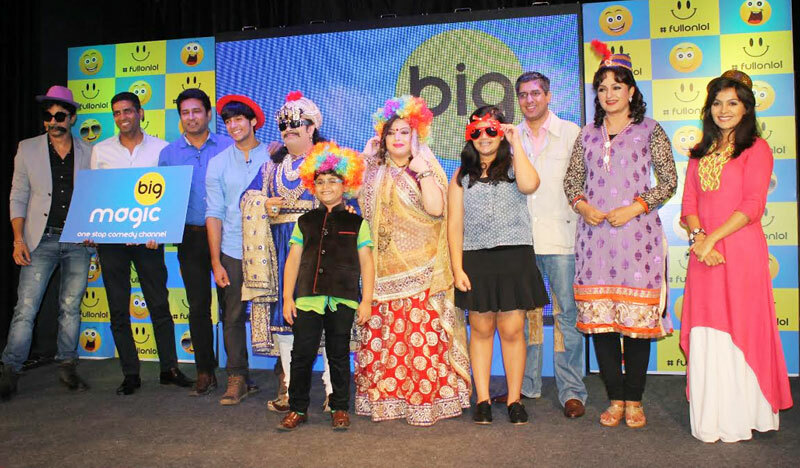 The logo unveiling saw the presence of popular Big Magic stars namely Kiku Sharda aka Akbar and Delnaaz Irani aka Rani from Akbar Birbal; Saloni Daini, Ami Trivedi, Iqbal Azad, Dharmik Joisar, Sushant Mohindra of the recently launched show Tedi Medi Family; Upasana Singh aka Tarawanti and Gaurav Sharma aka Pappu from Total Nadaniyaan amongst others. 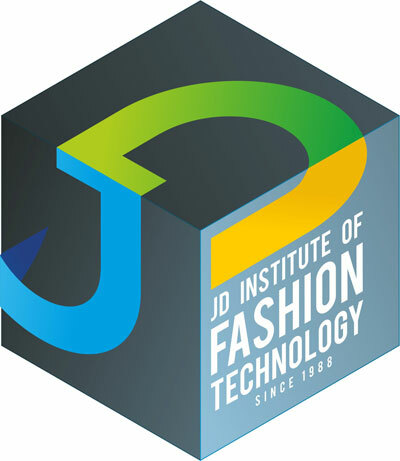 From Baseball Jacket to tuxedo to elegant women wear, collection of both Men and Women’s wear will be on full display as Delhi celebrates the culture and spirit of Fashion in a two-day Fashion Carnival-JD Annual Design Awards 2015 organized by JD Institute of Fashion Technology. The fashion carnival will be unveiled at the Jawaharlal Nehru Stadium, New Delhi on 1st and 2nd July, 2015 and will put on display every aspect of fashion across people. The Fashion carnival will have display of exhibitions-Interior, Jewellery and Fashion. All the displays and the creativity are done by the students of JD Institute. While the day will showcase the working arts, the evening will be take viewers to a nostalgic journey through the Fashion Show with live performances by models as they will do the ramp walk showcasing the collection designed by the students. This two day festival of creativity will showcase the creations designed by the students of fashion, interior and jewellery design departments on the theme ‘PURE’ highlighting the first thought that comes in the mind and follow that first thought fearlessly and curiously. The Annual Design Awards is one of the biggest platform for students not only to showcase their flair but an opportunity to work with leading designers and be seen and recruited by leading brands in India and abroad. The crafts of India are diverse and rich in history and religion. The aesthetics of each state in India reflects the influence of different empires. Despite the steep and upsetting decline of Indian arts, there is hope on the horizon. The idea behind the theme ‘PURE’ was to bring out the first thought that comes in the mind and follow that first thought fearlessly and curiously. I am elated to see some serious potential and responsibility among my student designers. In all, this will bring in new set of ‘Pure Designers”, said Mr. RC Dalal, Executive Director, JD Institute of Fashion Technology. The Institute sets a new benchmark in innovative teaching methodologies for its students and giving them the best learning experience. The institute was established by Mr. Chandrakant Dalal with an intention to enhance the student’s worthiness and imbibe the nobler values of life in their receptive minds. It is now headed by Mr. RC Dalal who has always had a progressive outlook and has cultivated a symbiotic relationship with the National and International design fraternity. The JD Institute of Fashion Technology focuses on creating the designers of tomorrow. The institute is committed to anticipating and fulfilling the ever-changing requirements of the design industry by producing world-class designers. JD provides the perfect setting for aspirants to become professionally competent, confident and translating talent into a rewarding career. This provides young jediiians an optimum exposure to the real world of fashion by taking assignments with choicest of brands, participating in selected shows, exhibitions and competitions, while pursuing their education. It is said that a star becomes an actor in the true sense of the word when he gives his all for a role of a lifetime. Ranveer Singh has proven this right by his decision to move out of his family home and shift closer to the ‘Bajirao Mastani’ set. 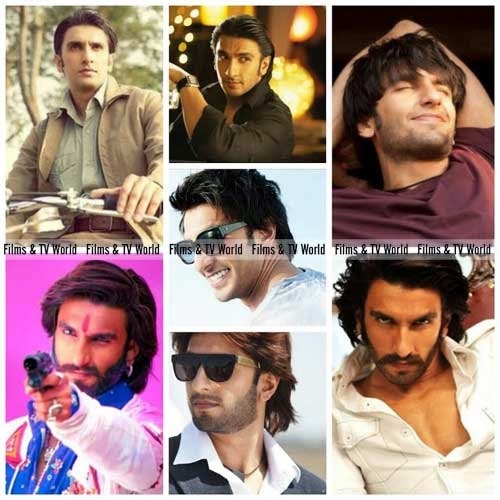 Ever since the film has gone on floors, Ranveer has given his all, going beyond the call of contract commitments. After nursing a shoulder injury recently, he is now moving away from home to become ‘Bajirao’. Riding high on universal applause that he earned as the urbane, gentle Kabeer in ‘Dil Dhadhakne Do’, Ranveer is dealing with a shoulder in recovery and a tough, all consuming role for his forthcoming ‘Bajirao Mastani’. Currently, he shoots for 12 hours every day & spends another 4 in physiotherapy to strengthen his shoulder as the film requires him to perform heavy-duty action in elaborate costumes. Intense in every sense, Ranveer also needs to remain in character as ‘Bajirao’ to play this historical figure. To prepare for this part, he shaved his head and chose to live in semi isolation before the film went on floors, away from cell phones & company. As Mumbai’s unprecedented heavy rainfall impacts traffic, the actor feels he is losing too much time in commuting from the film’s sets to his home in Bandra. Therefore, Ranveer has decided to move into a new apartment in Goregaon to be closer to the film’s set. With traffic woes & with a shoulder in recovery, he needs all the spare time that he can get to heal & focus on his part. Therefore, the actor, who has never moved out of his family abode, has brought & moved into this new apartment for practical reasons. Apart from physical transformations and unhindered commitment to one single film for a year, Ranveer has chosen to leave behind the comforts of his home to ensure that no external factors impact his work for this Sanjay Leela Bhansali epic. Talk about leaving no stone unturned to get the job done perfectly! In September 2015, at the United Nations, New York, 193 world leaders will adopt a series of ambitious goals to end extreme poverty, fight inequalities and tackle climate change for everyone by 2030. The Global Goals campaign is a global collaborative effort to ensure that these Goals are world famous and that they are successfully acted upon. Project Everyone, founded by Richard Curtis, aims to make the Global Goals the most famous Goals on the planet by sharing them with 7 billion people in 7 days from the moment they are adopted. The more people that know about the Goals, the more people will work to ensure global leaders drive change and the more young people will be inspired to join a new generation of Global Citizens. “I would love everyone to get behind the mission to make the Goals famous. We are targeting every website and billboard, every TV and radio station, every cinema, every community, every school and every mobile phone network with the task of carrying a simple message about the Goals for the 7 days after they are launched”. One of the first members of the team, The Global Cinema Advertising Association, SAWA, unveiled plans today for the First Ever Global Cinema Ad Campaign. Thanks to SAWA members, the ad #WEHAVEAPLAN will be screened in more than 30 countries across the world. 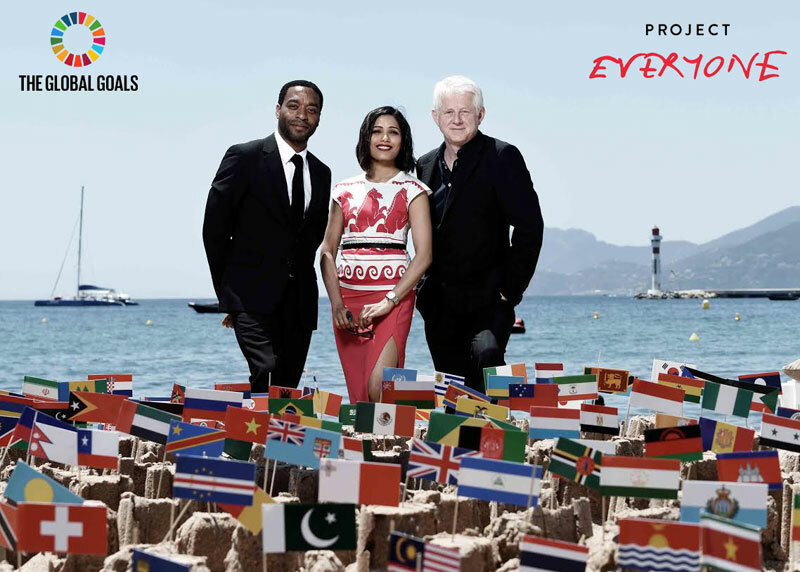 Freida Pinto and Chiwetel Ejiofor joined Richard Curtis and creator of the ad Sir John Hegarty on stage at the SAWA seminar to share their views on how cinema can be a powerful medium in driving social change. The Founding Team of Project Everyone includes, Aviva, Getty Images, Pearson, Standard Chartered and Unilever who have all helped to make the campaign possible, along with action/2015, Akshaya Patra, Bill & Melinda Gates Foundation, Global Citizen, Google, Huffington Post, ONE, Penguin Random House, Save the Children, SAWA, UNDP, UN Foundation, UNICEF, Universal South Africa, Virgin, Vodafone Foundation, WeTransfer and Wikipedia. Hailed as the new age spiritual leader, Saint Gurmeet Ram Rahim Singh Ji Insan (MSG) needs no introduction. Apart from his extensive work for the common people, his rockstar persona, his music and now his actor avatar are a big draw for fans worldwide. In this film, he walks into your hearts as a performer who rocks. The idea of the film draws from his real life work for de-addiction and its virulent opposition by the drug mafia, aided and abetted by their political masters. His first film MSG: THE MESSENGER has surprised everybody owing to its high drama, suspense and brilliant music. It is a film without any preachy airs that impels you to be the change. Guruji has donned many hats to create this movie – one of his many creative expressions on human living & social reform. The film is now available on DVD in 5 languages and will be distributed and marketed by ‘Home Entertainment Services by Sony DADC’, the leading home entertainment content provider in India. The DVD of MSG: The Messenger was recently launched by Saint Gurmeet Ram Rahim Singh Ji Insan (MSG) & Rajat Kakar, Managing Director of ‘Home Entertainment Services by Sony DADC’. MSG: The Messenger deals with youth-related issues like drug & alcohol abuse and societal issues like gender & economic discrimination. There are vested interests who profit by destroying society through drugs - and disturbed as Guruji‘s popularity grows. They conspire to kill him & therein unfolds an engaging plot. The film has been shot at various locations in Haryana, Maharashtra, Karnataka and Kerala. It was shot and completed in 67 days. Guruji has directed the movie (along with Jeetu Arora Insan), written it, acted in it, provided the music & lyrics and sung all the songs. The film has collected 101 crores net and is still running in some theaters in India over 130 days after its release. The movie has already set a milestone in Asia Book and India Book of Records for the most number of people who participated in the movie premiere at Leisure Valley Ground, Gurgaon on 16th January 2015. 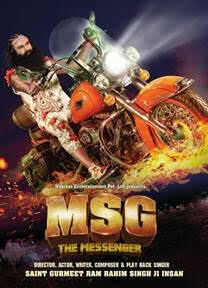 MSG: The Messenger is available on DVD in English, Hindi, Tamil, Telugu & Malayalam. The DVD is priced at Rs.250 & is available at all leading outlets – retail and online. After bagging two awards at the Berlinale, Dhanak (Rainbow) co-produced by Manish Mundra (Drishyam Films) and directed by Nagesh Kukunoor has won the best film award in the main category, ‘Children's Feature Film Competition’ at the Cinema in Sneakers Children's Festival, Poland. Nagesh who couldn’t attend the festival shared a recorded message thanking the festival authorities and the audience. The film was screened at International Film Festival Los Angeles (IFFLA) and at Toronto International Film Festival (TIFF), Kids. After wowing both film aficionados and critics alike at the 68th Cannes International Film Festival, Neeraj Ghaywan’s award-winning debut feature, Masaan is now gearing up for its India premiere. The film starring powerhouse performers Richa Chadha and Sanjay Mishra and newcomers Vicky Kaushal and Shweta Tripathi will be the opening film at the 6th Jagran Film Festival to be held in New Delhi from 1st of July at Siri Fort Auditorium. 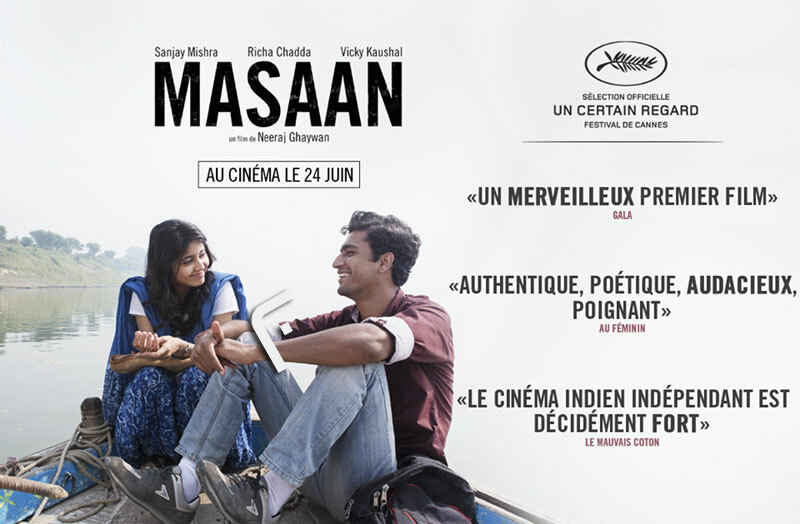 Masaan created history at Cannes recently by becoming the first Indian film to win two awards when it clinched the acclaimed FIPRESCI and the Promising Future awards in the Un Certain Regard Section. Masaan is a story of Four lives that intersect along the Ganges: a low caste boy in hopeless love, a daughter ridden with guilt of a sexual encounter ending in a tragedy, a hapless father with fading morality, and a spirited child yearning for a family, long to escape the moral constructs of a small-town. Neeraj Ghaywan has been the erstwhile assistant of Anurag Kashyap, and has worked with him on Gangs of Wasseypur and Ugly. Sharing his joy ahead of the festival premiere, debutant director Neeraj Ghaywan, who helmed the project says, "Presenting MASAAN in my homeland is extremely special for me. It is a film deeply rooted in our heartlands, our small cities and small towns. At the Jagran Film Festival, I take immense pride in presenting a film which we all have made with utmost honesty and a lot of heart." Brimming with happiness at his film being chosen to open the 6th Jagran Film Festival, producer Manish Mundra of Drishyam Films says, "It was an overwhelming moment for team Masaan when after 26 long years, an Indian film won two awards at Cannes Film Festival. We had great faith in the storyline of Masaan but truth be told, the reaction we received at Cannes including the 5-minute standing ovation after the screening left us speechless. If the film can connect with the foreign audience, I am confident that this heart-wrenching story will emotionally resonate in the minds of our Indian audience as well. I am grateful that through Jagran Film Festival, Masaan will finally open out to the Indian audience." The movie which has been jointly produced by Manish Mundra (Drishyam Films), Vikas Bahl, Vikramaditya Motwane & Anurag Kashyap (Phantom Films), Melita Toscan du Plantier & Marie-Jeanne Pascal, (Macassar Productions) and Guneet Monga & Shaan Vyas (Sikhya Entertainment) will release in theaters across India on 24th July 2015. The Phantom Films producer Vikramaditya Motwane says "It’s a proud moment for us to premiere Masaan in India immediately after Cannes. It's a film that has it's heart and soul firmly set in India and we cannot wait for the nation to see it." 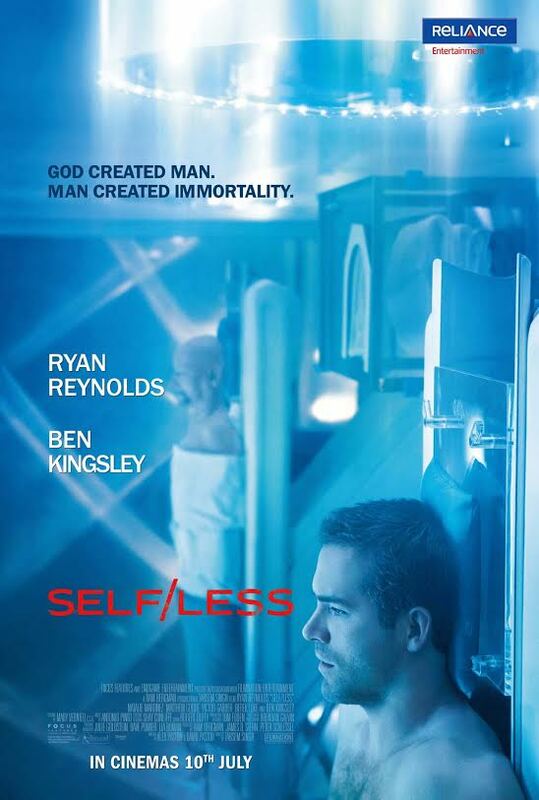 Reliance Entertainment is all set to release the film Self/Less on 10th July, 2015 in India. The film is a Hollywood science fiction thriller film which is directed by Indian filmmaker Tarsem Singh, of the films The Cell, The Fall, Immortals and Mirror Mirror previously and is written by David Pastor and Alex Pastor. The film stars Ryan Reynolds, Ben Kingsley and Matthew Goode. 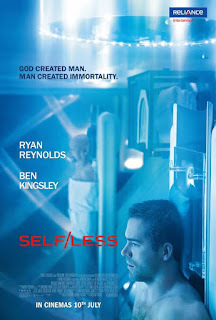 The film is about an extremely wealthy man (Ben Kingsley), dying from cancer, who undergoes a radical medical procedure that transfers his consciousness into the body of a healthy young man (Ryan Reynolds). But all is not as it seems when he starts to uncover the mystery of the body's origin and the organization that will kill to protect its cause. In addition to Ben Kingsley, Ryan Reynolds and Matthew Goode, Selfless also features Victor Garber and Downton Abbey’s Lady Mary, Michelle Dockery. 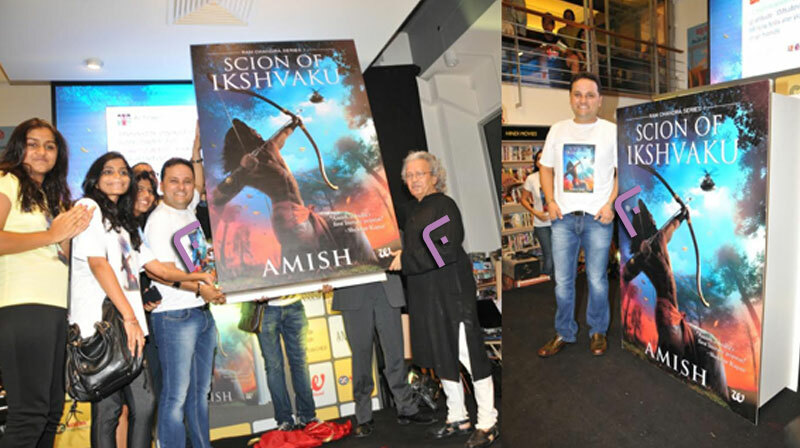 India’s leading lifestyle bookstore hosted the launch of Amish Tripathis first installment to the Ram Chandra series named Scion Of Ikshvaku. The evening started with great enthusiasm from fans lining up outside the Kemps Corner store. Amish spoke about his love that went in writing this book and also interacted with his fans with an open discussion. The evening ended with a book signing session. Scion of Ikshvaku is the first book in the series of Ram Chandra. Ikshavaku was the first king of the Ikshvaku dynasty and founder of the Suryavanshis, a dynasty Lord Ram belonged to. The book will explore the life of Ram. 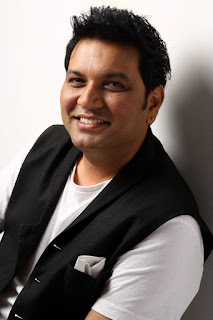 Described as 'India's first literary popstar' by world-renowned film director Shekhar Kapur, Amish's unique combination of crackling story-telling, religious symbolism and profound philosophies has made him an overnight publishing phenomenon, with spiritual guru Deepak Chopra hailing Amish's books as 'archetypal and stirring'. Amish's Shiva Trilogy — The Immortals of Meluha (2010). The Secret of the Nagas (2011) and The Oath of the Vayuputras (2013) — has over 2.2 million copies in print with gross retail sales of over Rs 60 crores, making it the fastest selling book series in Indian history. His books have been translated into 14 Indian and International languages. His next book, titled Scion of Ikshvaku, the book 1 of Ram Chandra Series, is expected to release later this year. Forbes Magazine has listed Amish amongst the 100 most influential celebrities in India, three years in a row. He has also received the Society Young Achievers Award for literature in 2013, Man of the Year by Radio City, Communicator of the Year by PR Council of India and Pride of India award (Literature). Amish was also selected as an Eisenhower Fellow, a prestigious American programme for outstanding leaders from around the world. Amish is a graduate of IIM-Calcutta and worked for 14 years in the financial services industry before turning to full-time writing. He lives in Mumbai with his wife Preeti and son Neel. Crossword Bookstores Ltd. is a wholly owned subsidiary Company of Shopper's Stop Ltd - India's leading department store chain with 97 stores, across 30 cities in India and as on today is India's fastest growing chain of bookstores. So on the very special occasion of Father’s Day ENVY 1000 evolving as a top brand has introduced ENVY after Dark Series and ENVY 1000 ‘DARK’, ‘RUSH’, ‘FIERY’ & ‘FORCE’ for that very special father. ENVY ‘After Dark’ series deodorant is available in four variants and they are Techno, Trance, Rock and Hip Hop. The Techno consists of fresh notes at the top & heart is composed of woody & sweet notes. The base contains amber, sandal and musk. The Trance consists of an aromatic spicy fragrance with top notes of bergamot and mandarin with a burst of spices in the middle enriched with richness of amber and sandal at the base. The Rock comes with head top notes that are fresh spicy, green, with fillings of vetiver, rose and lily of the valley. Base notes are musk, sandalwood, patchouli, cedar and oakmoss. The Hip Hop signifies Energy, Masculinity and Strength as their three cornerstones. It opens with fresh, citrus, green and marine notes while the heart is enriched with jasmine and spices. The base closes with rich sandal and vetiver with the hint of vanilla. ENVY after Dark Series deodorants are specially crafted to chill the mood of your father after his tired day in office or it can be used even in the night to rock the party. On the other side ENVY 1000 ‘DARK’, ‘RUSH’, ‘FIERY’ & ‘FORCE’ are the arrays of perfume body spray carries fresh notes which will keep your father very vigorous and leave a lasting impression behind. i.e., Fragrance meant for pure pleasure, directed for men. Go fast and select your daddy’s favorite fragrance and celebrate the moment of Father’s Day with ENVY 1000 body spray deodorants. ENVY after Dark Series deodorant will cost you just Rs. 250/- each and ENVY 1000 ‘DARK’, ‘RUSH’, ‘FIERY’ & ‘FORCE’ will cost Rs. 180/- each which are available at all leading departmental stores. Sun Tan causes to a patchy, dull and blemished skin. Covering your face with a scarf and hiding under the hat is not enough. The sweltering heat and glaring sun works its way through your scarf and hat leaving you with a tan. 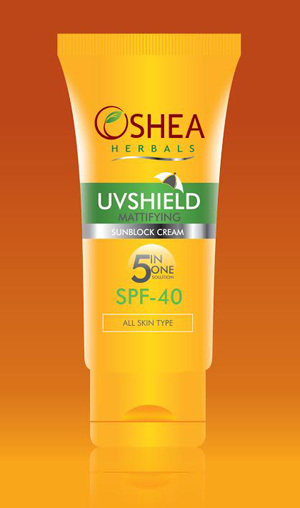 Keeping these points in mind, Oshea Herbal has announced new Oshea Herbals UVSHIELD Sun Block Cream with SPF 40 for all skin types which promise to get rid of the tan, dark patches, boils, blemishes and also helps you to achieve a glowing, supple and flawless skin. Oshea Sunscreen with SPF 40 prevents excessive solar radiation from reaching the skin and also reduces the risk of getting sunburns. Oshea Sun Block Cream with SPF 40 is 5-in-1 daily sun block cream provides long-lasting protection against harmful UVA & UVB rays. It contains Aloevera, Cucumber and Licorice extracts that helps to maintain skin's moisture balance. This unique formula also prevents skin from tanning and ageing. Its fast absorption and non greasy formula ensures a shine-free, light and clean feel skin. Go ahead and protect your skin from UV rays with Oshea Herbals UVSHIELD Sun Block Cream SPF 40, which is available in 60 gm and 120 gm smart pack at the cost of Rs.195/- and Rs.295/- respectively. Oshea Sunscreen has wide range which comes in SPF 20, SPF 25 and SPF 30, suitable for all skin types. 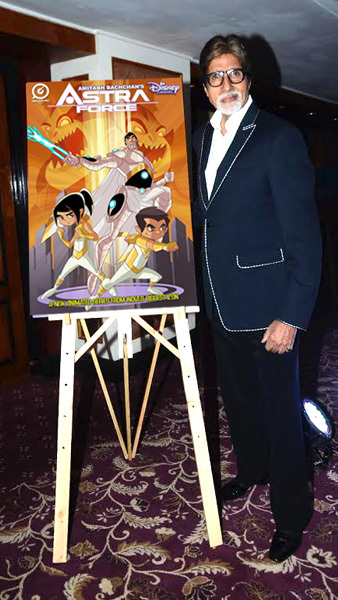 Graphic India and Disney Channel India announced today that legendary icon, Amitabh Bachchan, loved by millions of fans around the world, will start production on a 52-episode animated series, “Astra Force.” The series created by Mr. Bachchan and Graphic India, CEO, Sharad Devarajan is slated to air on Disney Channel India in 2017. 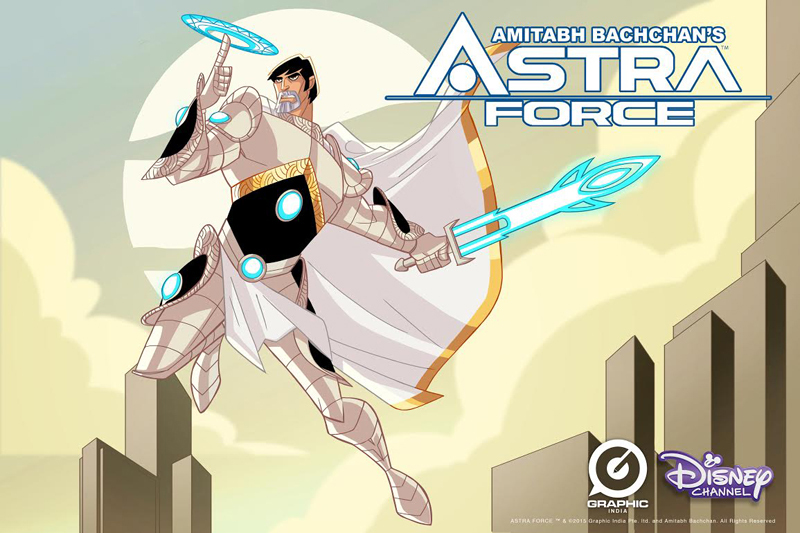 "I am truly excited to be collaborating with my friends Sharad Devarajan at Graphic India and Sid Roy Kapur at Disney to launch this exciting new superhero series, ‘Astra Force,’" said Amitabh Bachchan. "In the same way animation from other markets has captured the hearts of audiences worldwide, it’s now India’s time to create new heroes and animated shows to spark the imaginations of children all across the world." Disney Channel India has been entertaining kids and families through a range of locally relevant stories spread across high-quality animation and live-action series. “Astra Force” will be the perfect complement to the line-up of existing shows. In addition to the partnership with Disney Channel India, Graphic India will also be launching the character in a series of digital and print comic books available through a special Facebook comic app through Mr. Bachchan’s large social media following. Blippar, the world’s largest image recognition and augmented reality platform brings a spine-chilling encounter with the ghost of insidious 3 for its fans. 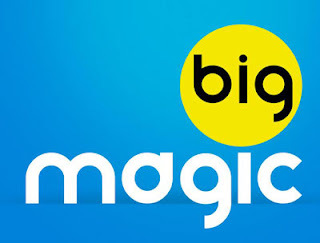 With Blippar’s innovative technology, viewers can simply blipp (scan) the posters, standees at the cinema hall and special markers on their smart phones and can enjoy the film’s trailer. They can also take selfies with the insidious ghost, browse the images from the insidious gallery and experience the ghosts come to life on their smart phones in 3D. Arnav Ghosh, Regional Director, Blippar India said, “With the increase in popularity of horror and supernatural films, we decided to create a thrilling experience for the fans of insidious series. The campaign is very interesting with the insidious ghosts coming to life on mobile screen in 3D. We have created special markers for the movie apart from the posters and the standees which the fans can blip (scan) and see the apparition of the ghost on their mobile screen. Young viewers will enjoy the overall look and feel of the campaign”. With just two weeks remaining in the release of the most sought after movie Insidious 3, Blippar, an image recognition platform is all set to change the perception and experience of the viewers about paranormal activities and super natural powers. The National Dairy Development Board and DD Kisan launched a partnership to create meaningful content for the farm and dairy sector on 16 June 2015 at NDDB, Anand. 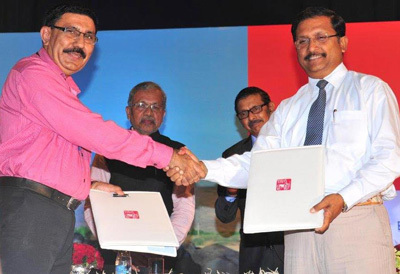 This partnership would take the dairy and farm sector to new heights. A Memorandum of Understanding to this effect was signed for dissemination of up-to-date technical know-hows to the farmers; improve their livelihood and income by enhancing their knowledge and information on various technical issues related to farming in broader sense. Shri T Nanda KumaT, Chairman, NDDB said that this association will benefit millions of dairy farmers across India. The content will be based on ground realities, actual problems and issues faced by the farmers. He assured knowledge, information and facilitation support to DD Kisan. While addressing the farmers, Dr A Surya Prakash, Chairman, Prasar Bharati conveyed that the joint effort will offer an effective platform to project success stories on progressive farmers. He said that this collaboration will enhance livelihood and income of the farming community. Shri Ranjan Mukherjee, ADG & Head, DD Kisan Channel outlined the objective of MoU and also highlighted relevant points of the road map of collaboration. Being in love seems like the best feeling in the world, but it’s not always rainbows and butterflies, especially when doubt turns into reality. As suspicion strikes, most people in relationships tend to connect the dots, even though the reality would cause them pain. The upcoming episode will showcase how a young girl learns about her boyfriend’s reality in a manner she would least expect. Mohak a young boy shifts into a flat with his roommate, Hattrick. As Mohak settles into his new environment, he realizes that his pretty neighbor is having an affair with a Sahir, who is already into a committed relationship. Seeing this, Mohak feels disturbed, since he had been cheated in the past. He makes up his mind and decides to convey the truth to the clueless girlfriend. Mohak and Hattrick start investigating and get to know that Sahir lives in the same society. On further investigation Mohak also finds out about Sahir’s girlfriend and exposes her to his reality. How does the trio expose the cheater? To find out, tune into Emotional Atyachaar, on Friday, 19th June, 2015, at 7pm on bindass that traces the story of how Jinal’s life changed when she met a stranger. Keep glued…! !